A Christmas mini tree with preserved green and ornaments. You can chose the ornaments as you wish. Fee : Original price 670HKD → Previous customers, Please check price with us. The pictures are samples, we have a lots of other ornaments. You can create one Christmas decoration. Gift orders are also available with wrapping. Christmas wreath 690HKD, mini tree 670HKD. Tung Chung and Hong Kong airport delivery is free. Please check with us for delivery locations, dates and times. We accept cash, check, bank transfer and PayPal for payment. Christmas wreath with preserved greens and ornaments. Fee : Original price 690HKD → Previous costumers, please check price with us. The pictures are samples. We have a lot of other ornaments. You can create one Christmas decoration. Refreshing colour of preserved flower arrangements for private jet interior. 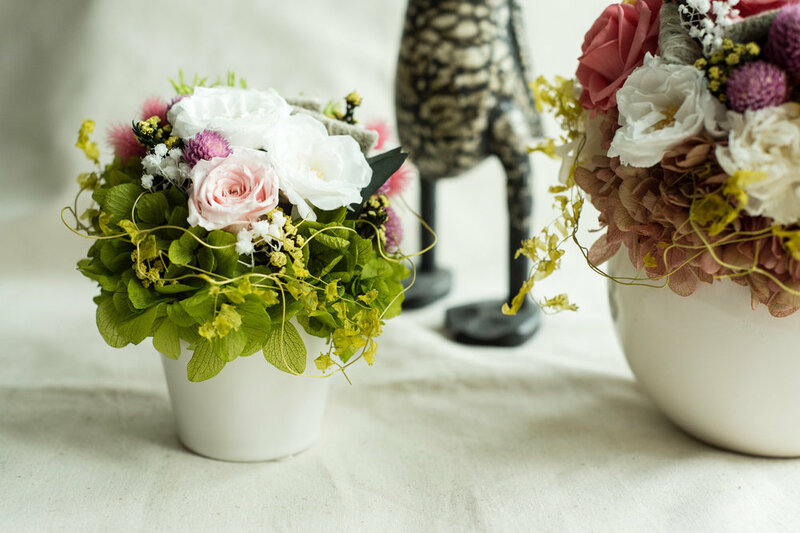 Flower by Chisa will be offering a limited service from 8th of April to mid May 2018. Please note we will be unable to provide lessons or deliver flowers however we are still accepting enquiries and would love to hear from you on how we can meet all your preserved flower needs after the spring. Thank you for your continued support and we look forward to introducing new and exciting designs soon. 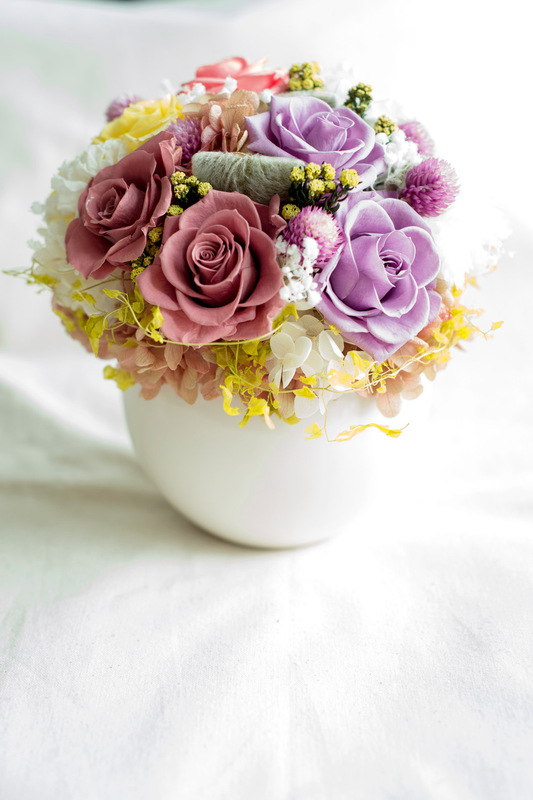 Preserved flower arrangements to bring you good luck and happiness in the new year. New vases, colours and designs of preserved flowers, by Flower by Chisa. Natural wooden base with new season colour of Zinnia and French Marianne rose. Size 15cm Hight 18 cm. 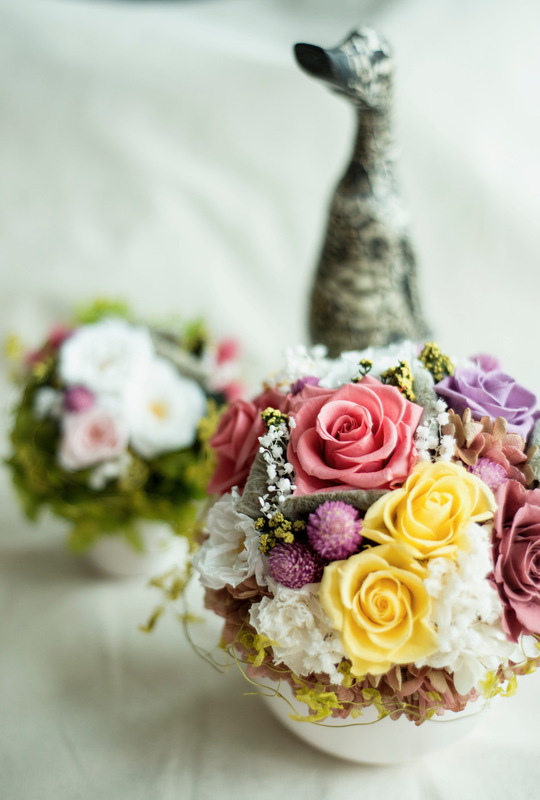 We teach and share details of preserved flower arrangements for beginner or experienced and tailor the class to your level. 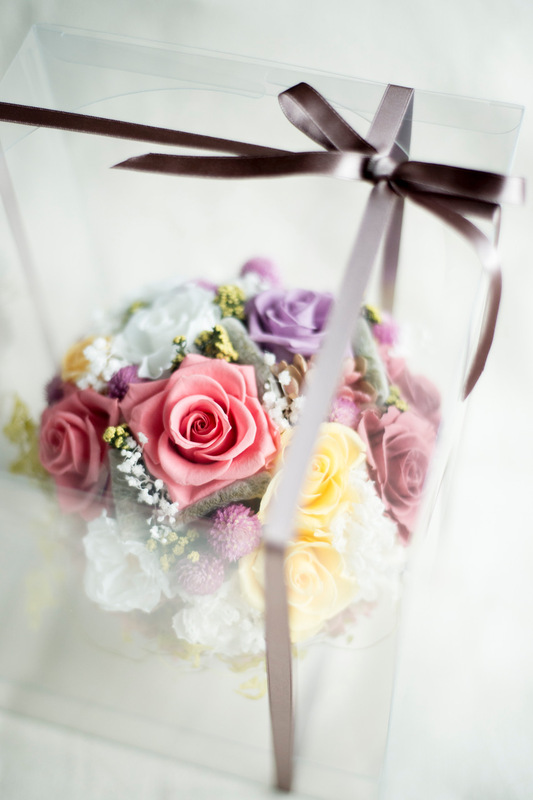 Flower by Chisa is a Japanese company based in Hong Kong, lessons can be conducted in English or Japanese. The above picture is just a sample, we use all natural products so the size and shape may differ slightly. 2018 New Year designs are ready. 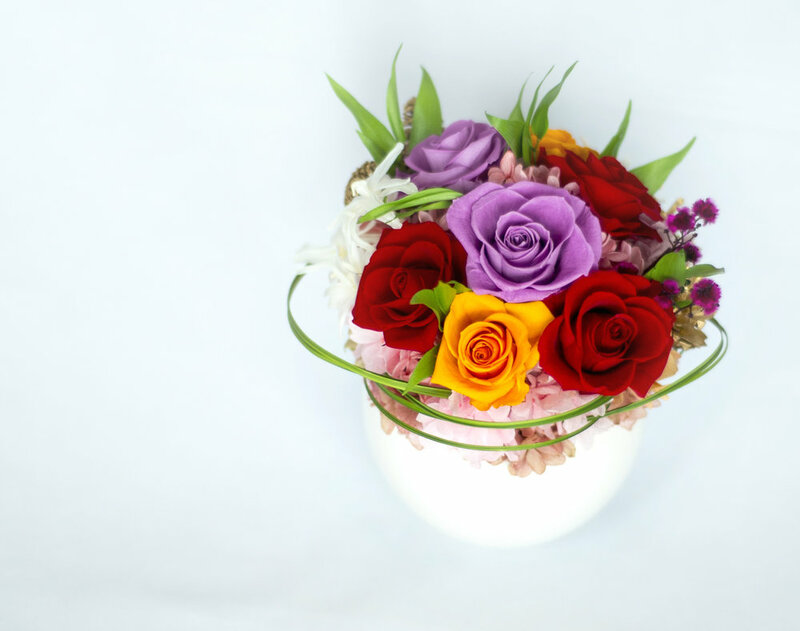 Our Preserved flower arrangements are made to order especially for you, based on our designs, something you have seen or using your own inspiration.